KENT MARINE ROCK-PREP combines a scrubbing bristle-head with a mild cleaning solution to remove dead or decaying material without harming living organisms on or in the rock. Directions When starting a new bottle, unscrew brush head to remove insert from mouth of bottle. Save for later use and replace brush head. 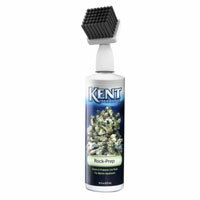 Tip bottle to allow cleaning solution to saturate bristle head. Use head to brush rock surfaces and in crevices removing obviously dead and/or decaying material. Avoid healthy organisms. Although this product will not negatively affect them, the scrubbing action may cause them physical damage. Re-saturate scrubbing head with solution as needed. When the rock has been cleaned, rinse well in a bucket or under a stream (preferable) of saltwater until no particulate material is seen coming out of or off the rock. The live rock can now be added to the aquarium or holding container where it should undergo a recommended curing process. Replace plug under brush when not in use. 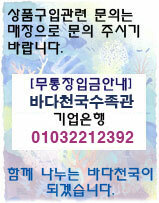 It is a simple fact that invertebrates on and in live rock suffer some loss of life when transported. Sponges are particularly susceptible during these periods because any exposure to air causes irreparable damage to the cells. It is necessary to thoroughly clean live rock and remove dead and decaying material before the rock is added to an aquarium. Not doing so may significantly increase the concentration of undesirable nutrients/organics in the aquarium resulting in poor water quality. Even so-called ‘cured’ live rock may exhibit some degree of die-off and therefore should be cleaned as a precaution before placing it into an existing aquarium.